Kiki is graphic and modern with a global point of view. The linen duvet and shams are embellished with rich embroidery, while our signature Cilla fabric offers a lighthearted motif. 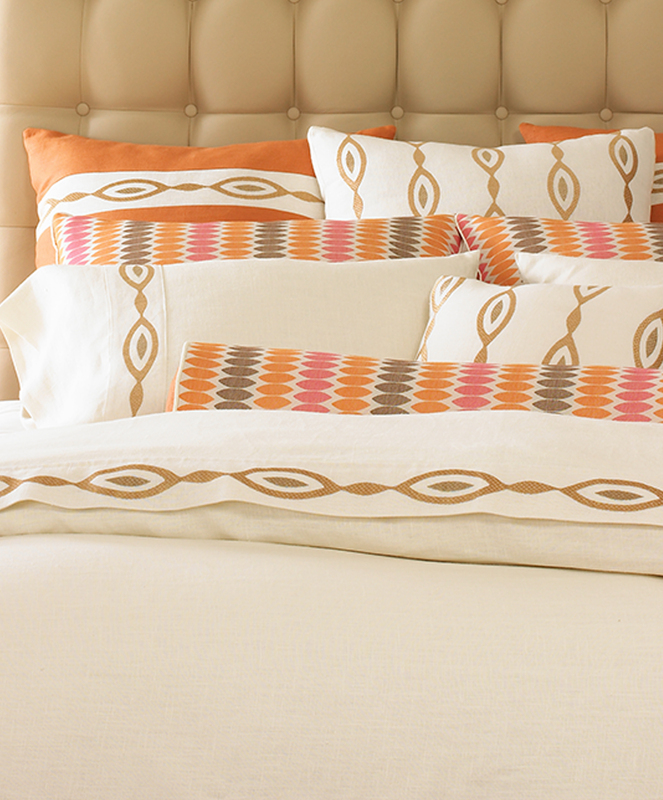 Tangelo accents brighten with a splash of color. 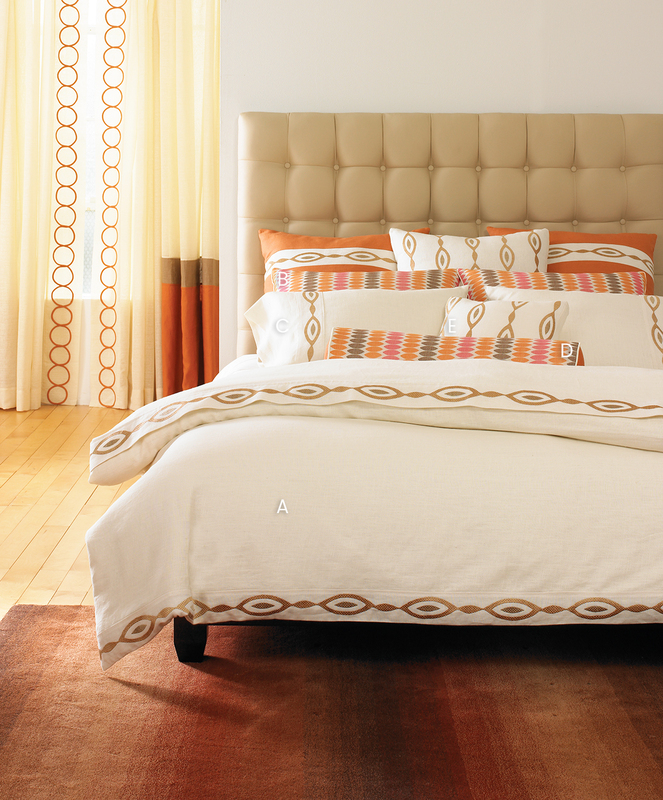 The photo shows a Kiki Full/Queen Package with the addition of a pair of Euro shams and one Euro Sham. Decorative Pillow 7" x 28"
Decorative Pillow 18" x 18"